Gordon’s Chapel United Methodist Church is deeply rooted in history. Whether that history is the Biblical foundations of our faith or the history of the community that we serve, history is vital to who we are and to what we believe. This history encompasses the Old Testament showing how God delivered His people out of Egypt. It offers hope and salvation through the history of the New Testament where God, through His Son, Jesus, delivered His people out of sin. As we move into the future, it is also the history that God is making today in our community and in our world. It is our desire to be a part of that history as God unfolds it before us. Gordon’s Chapel Church (Methodist Episcopal Church South) was organized in 1898 under the pastorate of Felix L. Church. 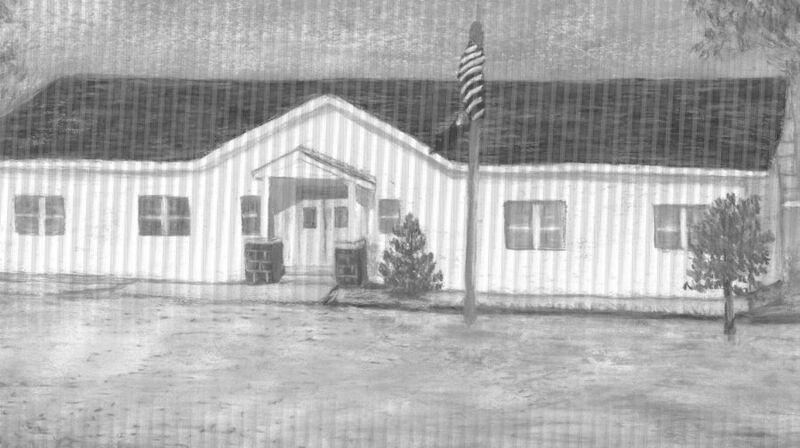 Services were first held in a brush arbor and school house until the year 1900, at which time Mrs. J .F. Gordon donated a lot to build a church. During this year a one story frame building was erected, which was for church and Sunday school for 51 years. In 1917, some additional land was purchased adjacent to original one acre lot. This land was bought by the Executors of the estate of J. M Seagraves, and by J. A. Stone, and donated to the church for use as a cemetery. On December 10, 1935, Rev. B .W. Hancock, who was the pastor of Gordon’s Chapel at that time, called a meeting of the official board of the church, to discuss the erection and payment of a new building. It was decided that the old building be torn down and that a new brick building erected in its place. 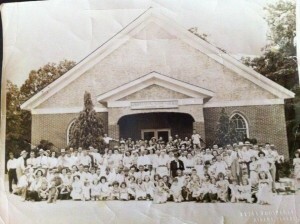 The first service was held in the new building on June 12, 1936. The funds for the erection of this building were given freely and cheerfully, not only by the congregation, but by members of other churches, and by friends in nearby communities and towns. Most of the labor was contributed without charge, with the exception of the skilled labor, and a fine spirit of cooperation existed during construction. 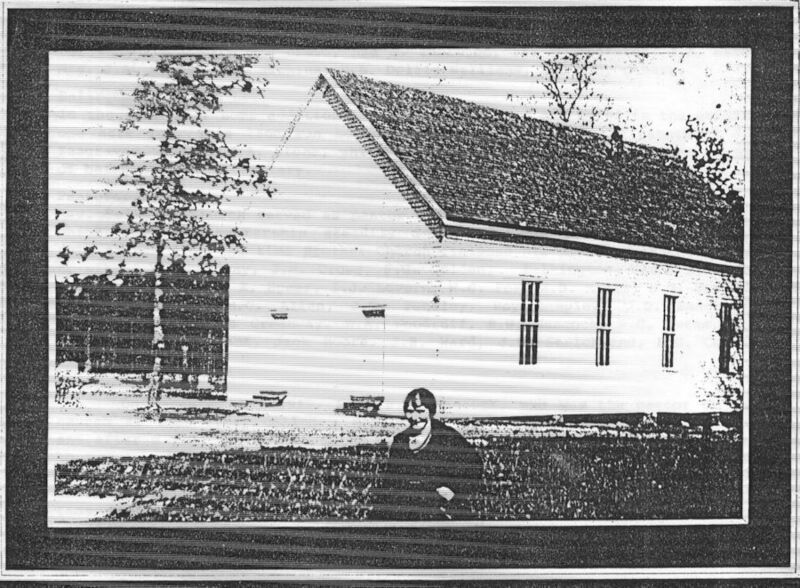 In 1945, the County School Board deeded four acres of land and a school house with four rooms and an auditorium to the trustees of the church. This property is currently being used for education and recreational purposes by the church and community. The church was in the Danielsville Charge at the time this history was written. It is located in Sanford Community of Madison County, Georgia. It serves as a public center as well as a place for worship. Its doors are open to all seeking to find peace in the Christian way of life. The old Sawdust School house nearing a century old is still standing. The sawdust floor and slab bench for thirty years, was the school house and the center of all community activities. This 2 room building was used mostly during lay-by-time and winter months. In 1928 and 1929 a larger structure with 4 rooms and an auditorium was erected on ground purchased from Mr. Alvin Gordon (about 4 acres). The money was furnished by local and state funds when Mr. Jim Griffeth was Superintendant of County Schools. The local trustees were S.O. Massey, Alvin Gordon, and Lamar Barber. Mr. Claude Strickland, a local carpenter supervised its construction by hiring community workers. As the Depression was slowly closing in, the youth boys had enlisted in the C.C. C. camps. The building was finished and dedicated with a speech by Mr. Grady Garrad, State School Superintendant. A vote for changing the name of the school was held and Mr. Bruce’s choice of “Sanford” was selected and he was given a prize of $50.00. In 1923, however, Seab Massey who lived in the community donated an old truck to be used as a school bus. A wooden body was built on the chassis. This body had black oil cloth curtains that could be rolled up or down, depending on the weather. Drivers of the school truck were Otis Dillard and Dwight Massey. The first graduating class from Sanford School had a total of 10 people, many of whom live in our community. The school added the Eleventh grade and grew to over 60 high school pupils and 100 in the grammar grades. Faculty consisted of: Mr. Mell Carter, Principle; Otis Dillard, teacher and coach; Miss Iona Fields, Mrs. Frances Barber, and Mrs. Katherine Hawks, teachers. The last graduating class was in May of 1936. In 1937 high school pupils went to Danielsville or Ila and the grammar grades were sent to the Neese School. Out of the class going to Danielsville, Mr. Lawrence Huff attained the highest grades ever attained in the Danielsville School to that date. He went on to graduate from the University of Georgia in only 3 years and was given a teaching position at UGA. Sanford School had a good athletic program of baseball and basketball. Sanford School beat the Athens YMCA several times on the basketball court. The school grounds and building were deeded to Gordon’s Chapel Church and still serves the church and the community in many ways. Please Note: The Sanford Community Center is owned and operated by Gordon’s Chapel United Methodist Church. Contact Bruce Thaxton (ask for info through church office) for information regarding reserving the community center.